SYNAP | Products | eStore | Product Details $ PRICING | QUESTIONS? This product doesn’t just come with great time saving features, it includes winning business principles you need to improve sales and succeed. is a special receipe of SYNAP that focuses on helping merchants and businesses run a successful online store. With over 15 years of experience in running successful eStores, we have packed all our secrets and tradecraft into a single app package designed to give you the winning edge you need to sell your products on the web without the hardships and tangles we experienced as online merchants ourselves. 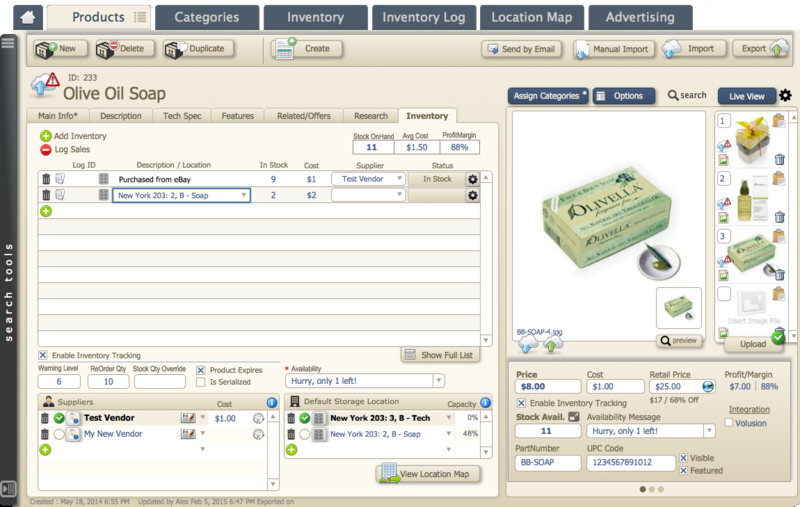 Who better to design a great store management system than the merchants themselves. There are way too many features to even mention but we highlighted a few for you in the chart below and the full feature description page . If you have any questions, please don’t hesitate to contact us or start a chat . A single SYNAP license includes an installation on a single computer allocated to a user. In order to use SYNAP on more than one computer or user you will need to purchase additional Station Licenses in the Upgrade Section. A SYNAP Integration Channel can be used to connect to an external web services like an eCommerce service, eBay, or Amazon. Your Plan dictates how many connections you can have. or You can also purchase Additional Channels Upgrades here. If you need to share your SYNAP Solution but you don’t want to spend money on buying your own server? We have Server Hosting Plans that will fit you budget and you exact need. Find out More about our Hosting Plans here. Support is the most important aspect of our business. We are here to make sure you get the most from our products. When you purchase a product that runs your entire business, its critical to always keep it running as well oiled machine. Your purchase includes our FREE Support option. FREE Support includes email support for setup, and troubleshooting with a 24-48 hrs response time. We realize that many business have different support needs. So we developed an array of support options that can support any business, what ever your needs are. See the chart below to see what support option is best for you.. If you have any question, please don’t hesitate to contact us or start a chat. Do you need a feature we currently haven't developed yet? No problem.We offer custom development services that gives any business the opportunity to tailor any SYNAP solution to their exact needs. You can learn more about that on our Custom Development page or refer to the chart below for a quick cost reference. Support blocks are a great way to work on a project. You get discounted hours which never expire. They can be used towards any service, support or training. Contact us for specific estimates on features you wish to implement. Upgrade your current plan to take advantage of new features in our Pro and Enterprise Plans. Initially your SYNAP Edition comes with several modules depending on the plan you have chosen. Adding additional Modules is simply. For example: If you wanted to add a Customer Module or an Orders Module to your current edition, you can simply purchase the additional module as an add-on to your existing solution.